Caracol Ruins is situated approximately 40 kilometers south of Xunantunich and the town of San Ignacio, and 15 kilometers away from the Macal River. Getting to Caracol Ruins from Belize City, Placencia or other destination requires you to book a day in advance, or you can also stay in San Ignacio. A quick tour arrangement can be made with us at Ka'Wiil Tours. Luis, our expert guide, is highly educated in ancient Maya history making this trip a full day of fun and adventure. If you are traveling from other parts of the country, let us know so we can plan our best to do the Caracol Ruins Tours in a day. Tours depart early in the morning, since Caracol is approximately 3 hours off the main highway. Enjoy a scenic ride while driving through endless acres of Pine ridge, winding mountain roads and dense Rainforest. 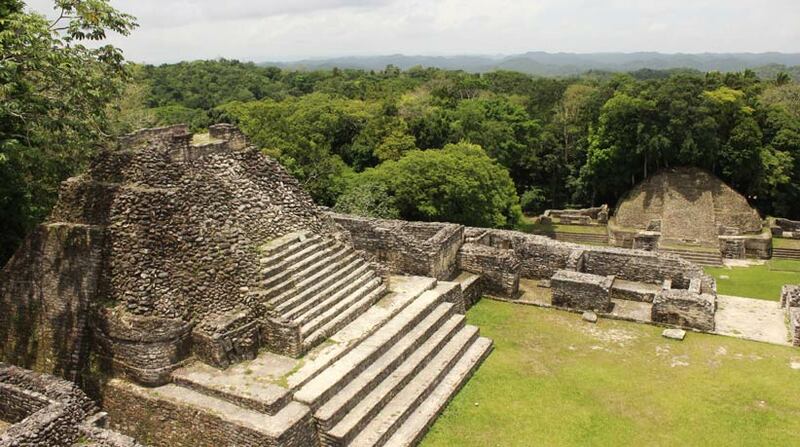 Caracol Archaeological site, the Snail, is an ancient Maya city with a detailed history. The area was settled around 900 B.C, being the most important regional political centers of the Maya Lowlands during the classic period in 900 A.D. This city once covered about 75 square miles (larger than modern day Belize City). Caracol sits on the Vaca Plateau at an elevation of 500 meters above sea-level, in the foothills of the Maya Mountains. Official Investigations at Caracol started in 1950, after the first official visit by Linton Satterthwaite ( University of Pennsylvania). 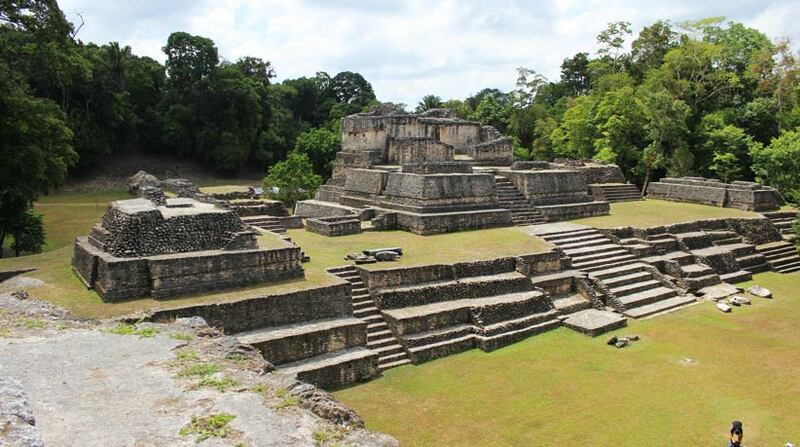 Caracol was discovered in 1937 and is the largest Maya site in Belize, home to 150,000 Mayas. 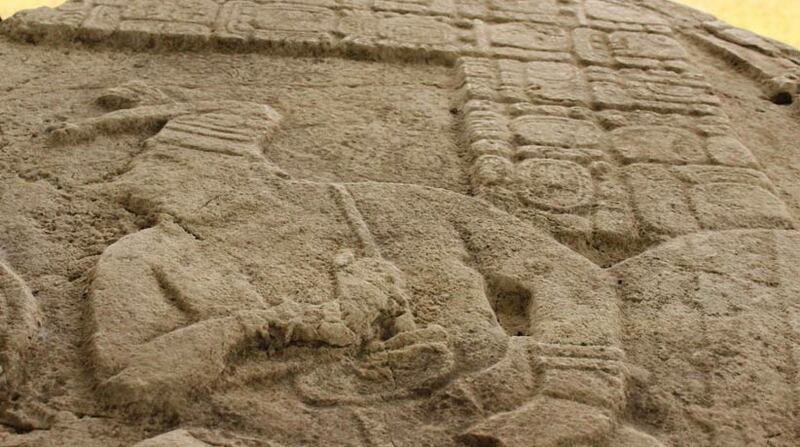 It contains enormous temples with “Caana” or “Sky Place” being the largest. The primary pyramid at this site, houses 4 palaces and 3 temples and remains the tallest structure in modern Belize, with a height of approximately 141 feet, which rises over 140 ft. From the top you can enjoy a panoramic view of the surrounding natural beauty of Belize. Over 70 formal tombs have been excavated and many hieroglyphic texts have been found on steleas, altars, and ball court markers, capstones and wall facades. Though located deep within the Chiquibul National Park it is definitely worth the long trip. The drive to the site allows you to have a glimpse of small villages and the Mountain Pine Ridge Forest Reserve, where many wildlife creatures such as the jaguars and ocelots roam. On the way back, you have the opportunity to visit the Rio Frio cave and swim at Rio On Pools or Big Rock Falls. For this amazing adventure you will want to bring along a camera, bug spray, sun block, hat, hiking shoes, shades, canteen, water shoe in case of swimming, swim wear, lots and lots of energy! Enjoy! Tours include Lunch, Transportation, Guide, Entrance Fee, Bottle Water, Soda, Tours Equipment. Caracol Ruins is truly a great site to explore. Just as Teotihuacan in Mexico and Tikal in Guatemala was of status and Power; so was Caracol Archaeological site in Belize. Luis has taken educational and historical training and dose his utmost best to explain what it was like living in this area during the time of the Mayas. This tour offer is follow by a swim at the natural pools after visiting the Ruins. Sign up for Caracol Site Tour Today!